Welcome to Witney Dramatic Society (WDS). 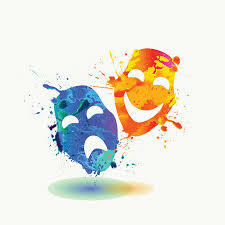 We are an amateur drama group based in Witney, Oxfordshire and have been performing a huge variety of pantomimes, plays, musicals and comedies for the past 70 years. All our performances are held in the Methodist Church, WItney and have been a big sucess. We always welcome new members, so, if you are interested, head over to our 'Join us' page or why not join us at one of our monthly social nights held at the Como Lounge, Witney on the second Wednesday of each month at 7.30pm. See our calendar page for more details of this. You are more than welcome to join us!. We hope you enjoy our website and look forward to seeing you at our next performance! 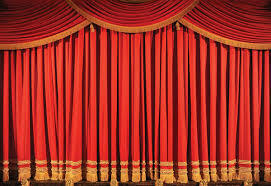 We are holding the first of our new ‘Club’ nights tomorrow evening where we are hoping to discuss the possibilities for our October production including readings for a few suggested scripts. It will be held at 7.30pm in the Mary and Martha room at the Witney Methodist Church (upstairs in the new building at the back of the church). We are holding the next of our new ‘Club’ nights on 23rd April at 7.30pm in the Mary and Martha room at the Witney Methodist Church (upstairs in the new building at the back of the church). If you are interested in taking part in our production planned for October of this year, please feel free to come along!